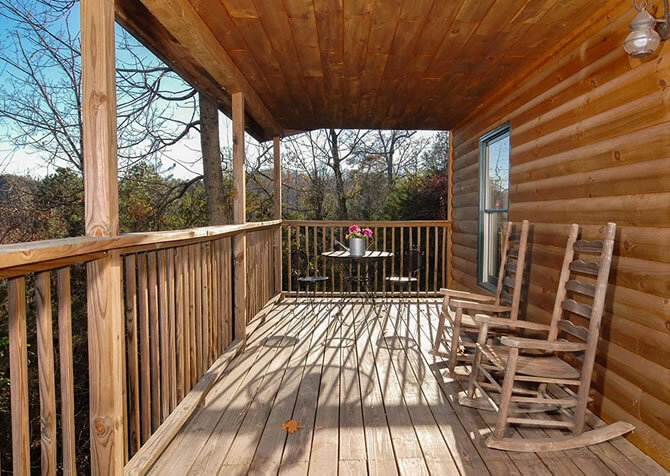 Quietly tucked among the trees in Cosby, Tennessee, After Creek Delight is all about rest, relaxation, romance, and great times in the Great Smoky Mountains. As the name suggests, this cozy log cabin is set right on a creek, giving you those peaceful water sounds as you unwind. 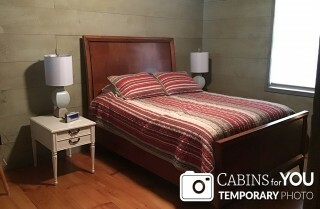 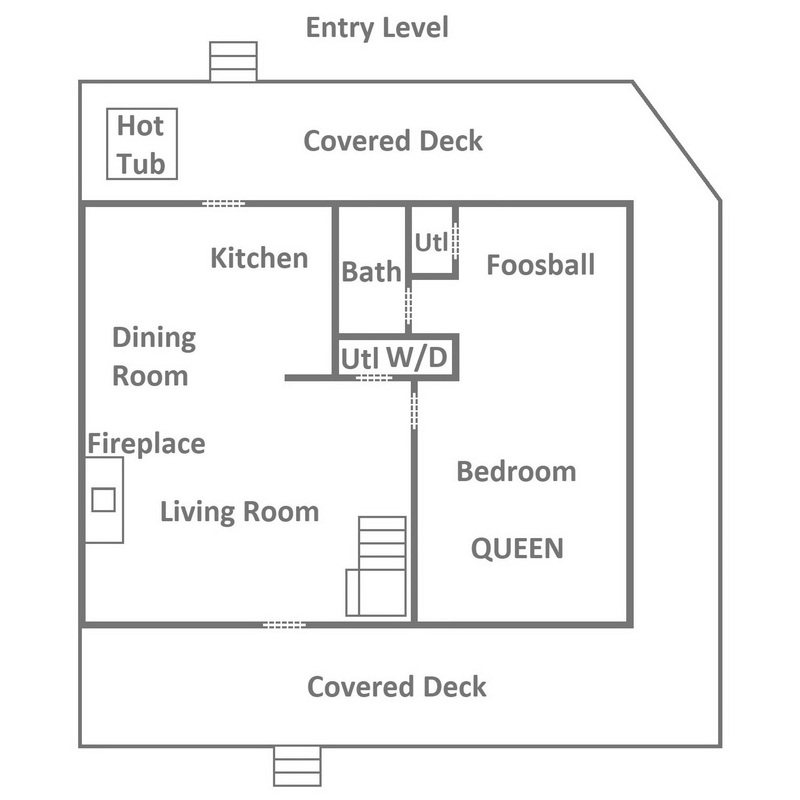 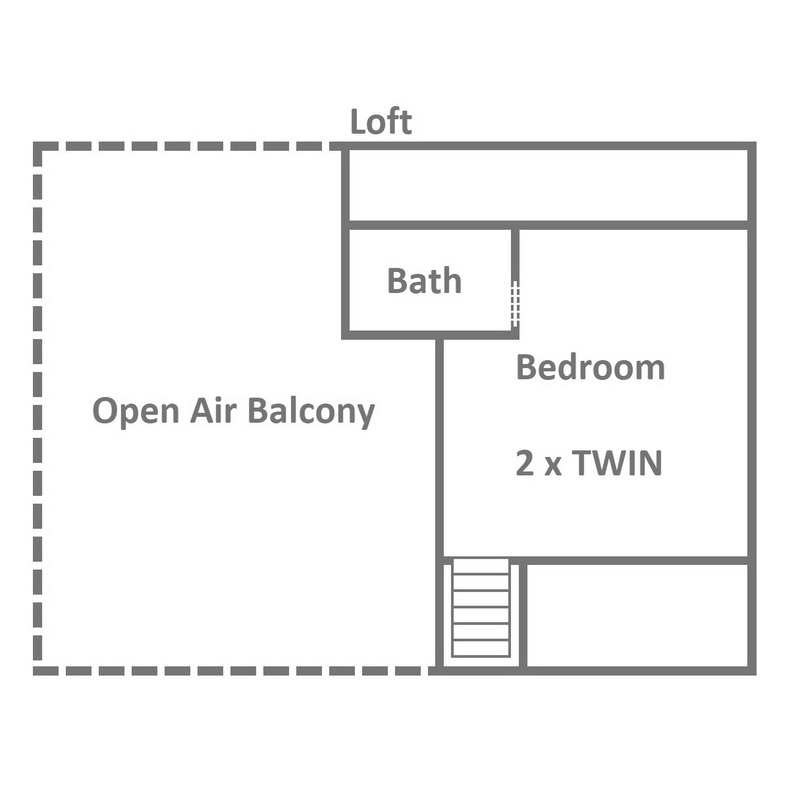 It features 1 bedroom with a queen-size bed, a loft with 2 twin beds, 2 bathrooms, and space to sleep up to 4 guests. 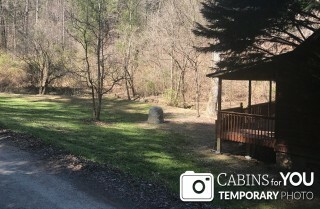 First, pull up in the flat, gravel driveway (motorcycle friendly) after a drive along flat, paved roads for easy arrivals. 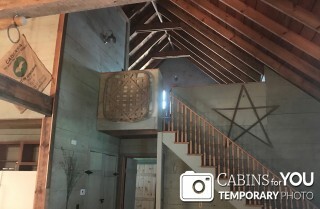 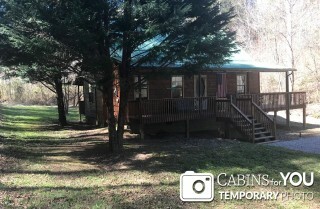 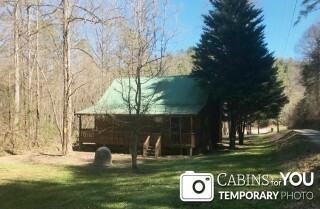 The private cabin only has 1 neighboring cabin down the street, so you can really enjoy your own space and quiet here. 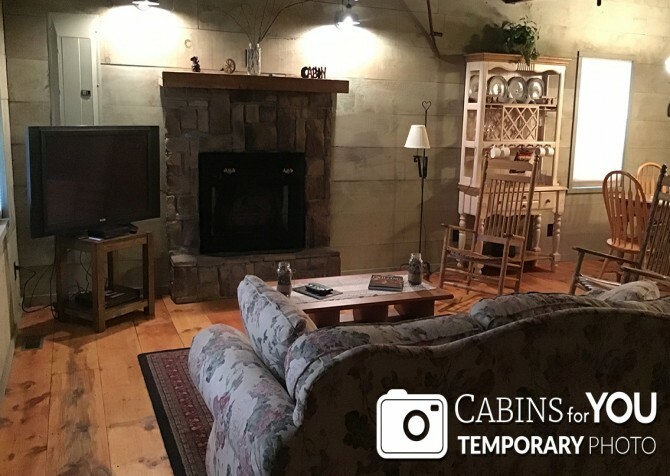 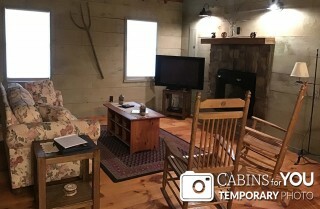 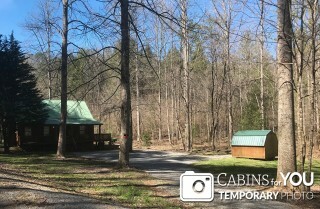 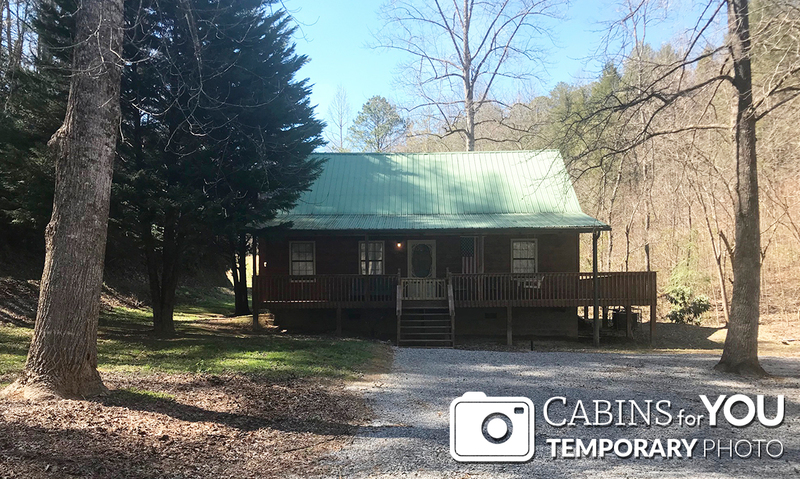 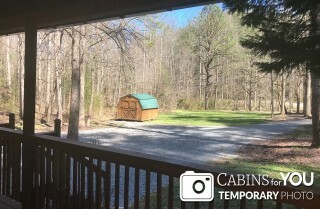 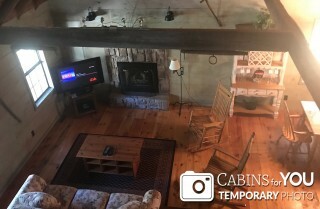 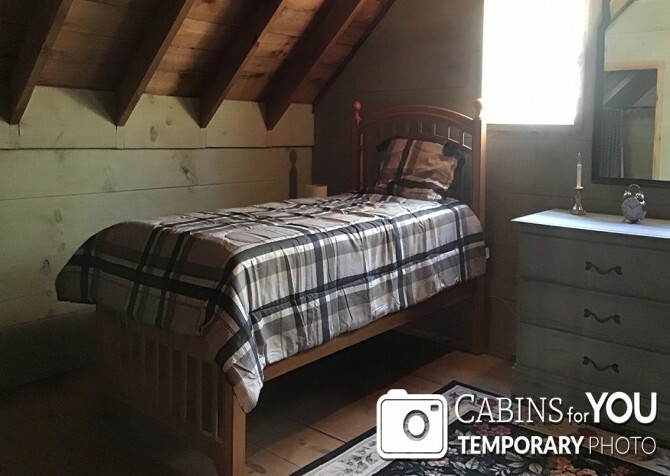 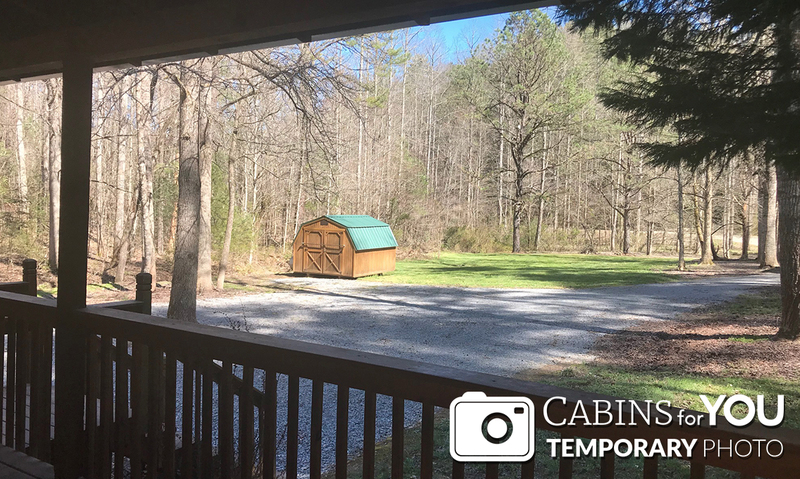 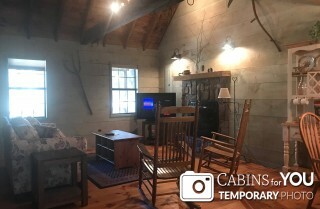 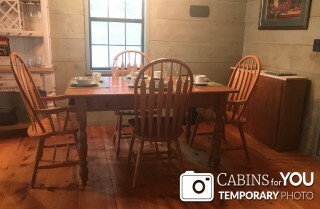 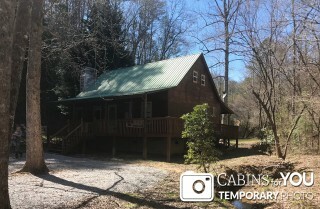 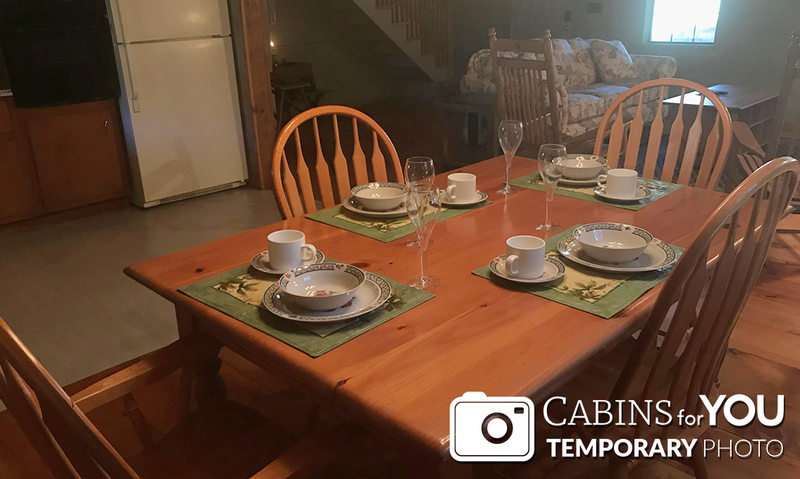 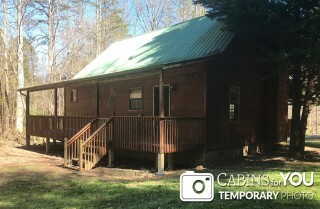 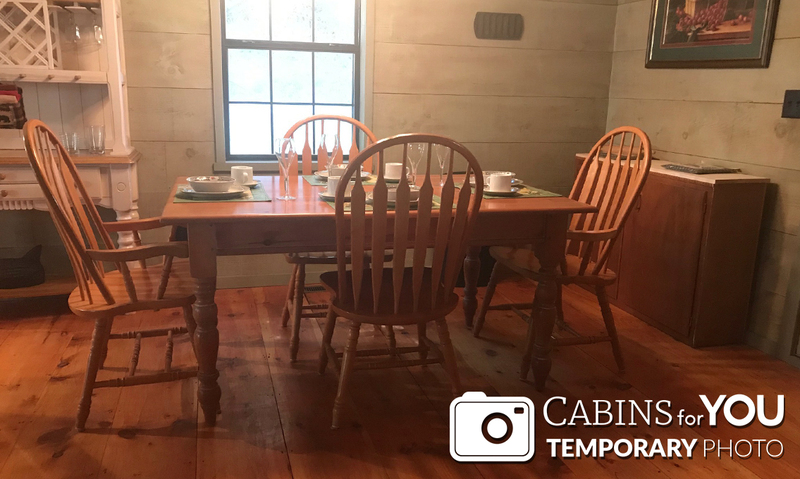 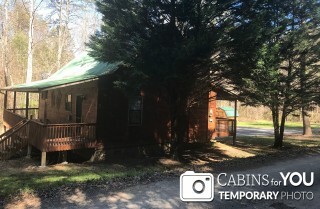 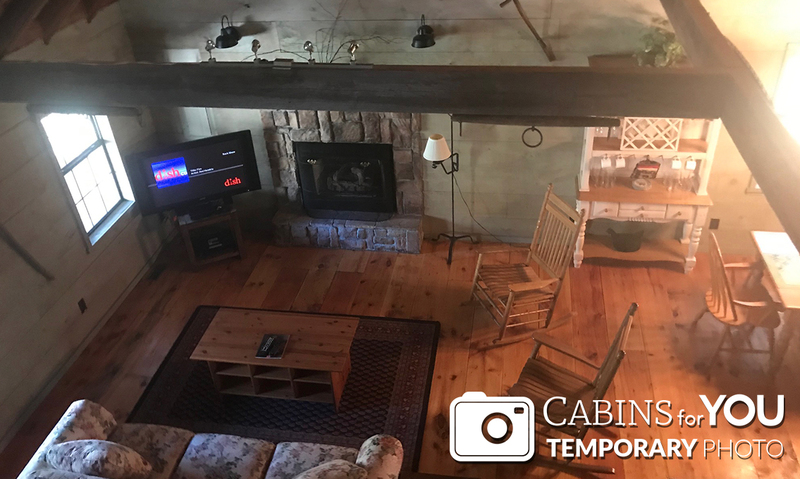 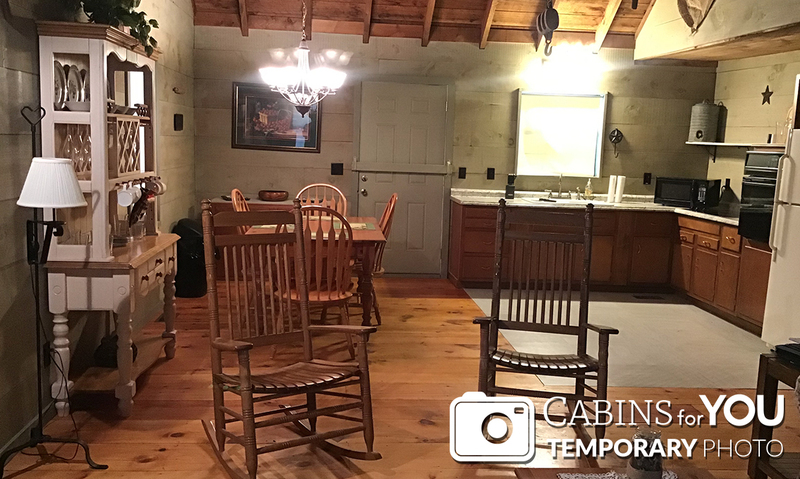 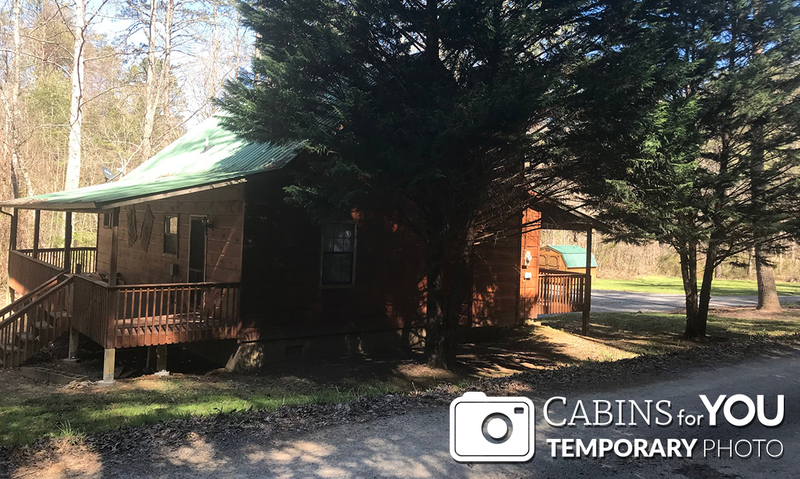 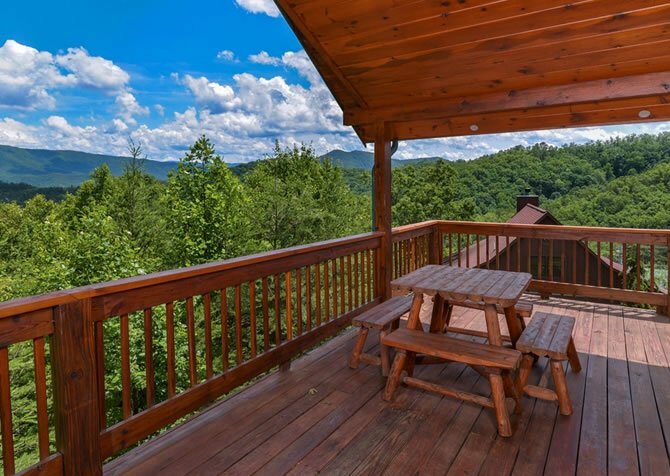 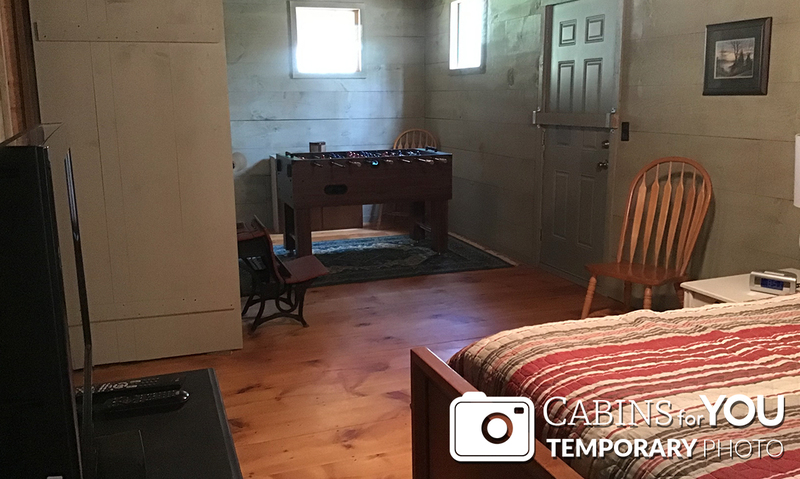 You’re greeted by a charming cabin with a wraparound porch and plenty of outdoor space to throw a football, stretch your legs, or play with your pup at this pet-friendly cabin! 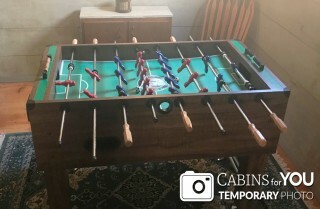 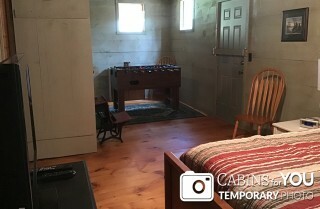 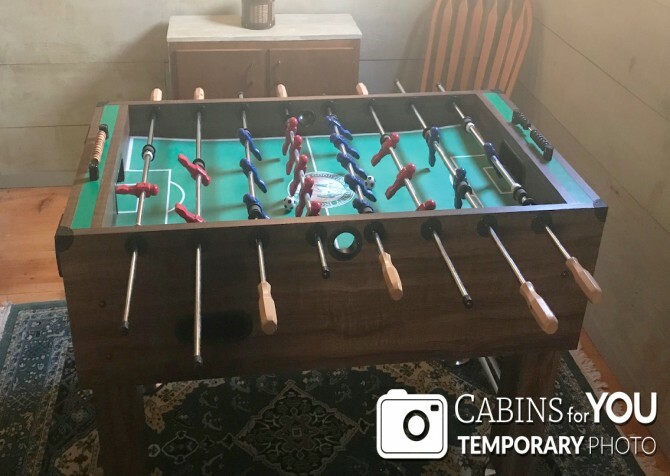 For more fun, you’ll have a foosball table at the cabin! When it’s mealtime, fire up the picnic-area-style charcoal grill or whip up something in the full kitchen in the cabin. 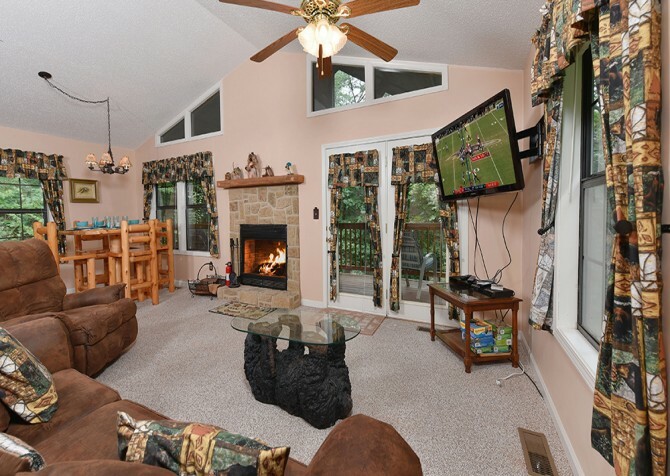 You can cozy up in the living room that features a sofa, rocking chairs, a coffee table large enough for a game of cards, and a 42-inch TV while you stay warm by the gas fireplace. 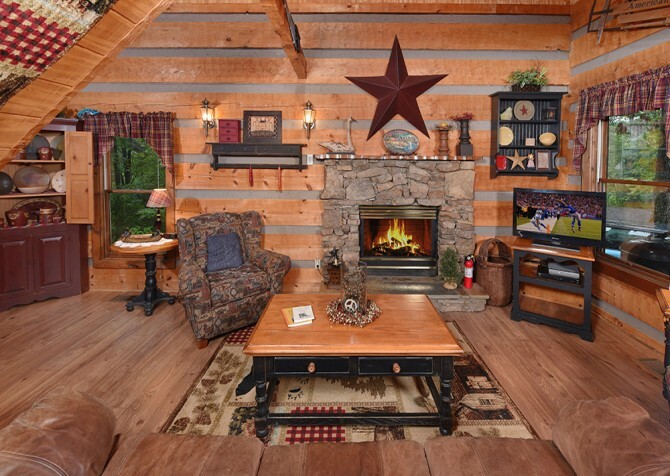 It also has a DVD player, so bring along your favorite movies for cozy nights inside. Then head to the bedroom to enjoy a peaceful night in the queen-size bed or go to the deck for a soak in the outdoor hot tub before calling it a night. 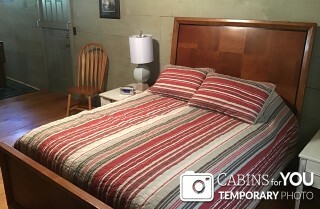 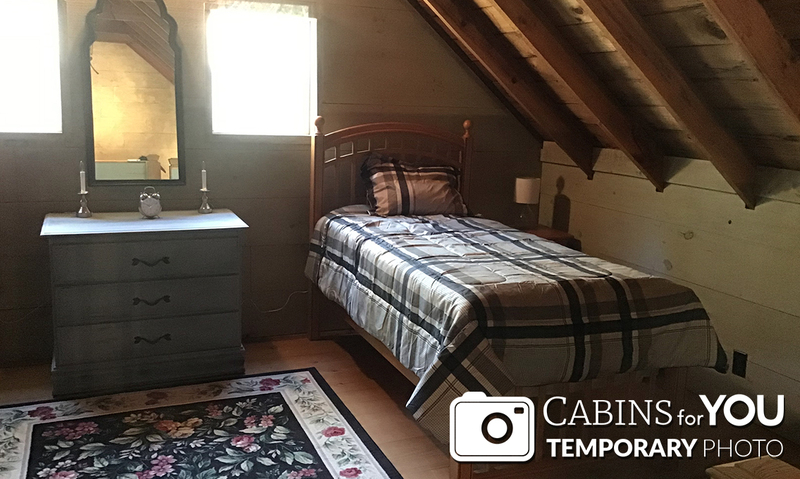 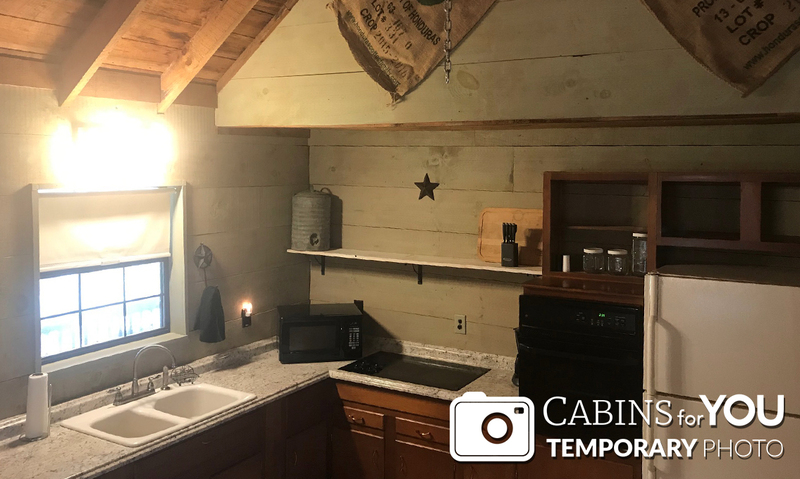 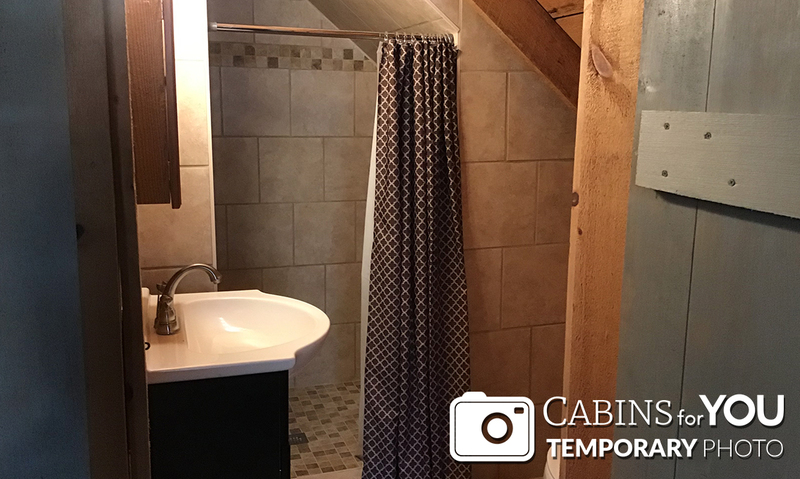 The cabin also features a washer and dryer, which are convenient during longer stays or after hikes!